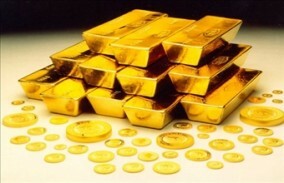 Home / Articles & Videos / Is this the end of the line for gold? Is this the end of the line for gold? Want to blame Iraq or Ukraine for gold’s recent rise? It might be less ghoulish, and longer-lived than that. The consensus is finally pointing the other way, suggesting some kind of capitulation in sentiment at last. Most clearly this new low for gold’s investment appeal is flagged by a detailed, thoughtful article from Bloomberg. It says gold investors are now “heartbroken” by the metal’s three-year drop. So hurt, in fact, they won’t ever come back. So we’re really motoring now with anti-gold sentiment. Because louder than his consistent anti-commodities jibes, Glassman is most famous for co-writing Dow 36,000 – “perhaps the most spectacularly wrong investing book ever” (copyright, the Washington Post) – just as the Tech Stock bubble was about to become the everything crash at the turn of the century. That 1999 pratfall was so unfunny for equity bulls, anyone reading Glassman’s gold loathing today might feel 15 years younger and start planning a Y2K party. Only this time, you’ll know trouble lies ahead. Thing is, those commentators dismissing gold as “speculative” and driven solely by emotion are right. The above-ground stockpile of gold is so large – equal to 40 years of global demand – that mining or buying one more ounce changes little. Prices rise when buyers pay more and sellers ask higher. Gold falls when jewellery consumers become the marginal buyer, and existing owners accept whatever they can. What flicks that switch is sentiment, whether towards gold or away from other, more typically “productive” assets. Behind that sentiment may sit many different financial or economic back-drops, chief among them the direction of real interest rates. But since gold’s utility is always and only social – whether for adornment, monetary exchange, or trying to defend or grow spending power – then human emotions really do drive. And right now, the major-league pundits feel more down on gold than any time in the last decade. Next: This is a bail-out!